America's post-World War II development pattern can not function without projections for future growth. Not only does the finance of our places depend on growth, but the sizing of key infrastructure components requires that we have some estimation of future demand. That estimation is impossible to do reliably, which only demonstrates that America needs a different model for local development. We're building some momentum with our ongoing fundraiser for bringing the Strong Towns message to Pennsylvania. Our plan is to visit the state and hold 8 to 10 (or more) Curbside Chats. I anticipate some communities committing in the next few days, but we still have a long ways to go to make this happen. Please consider supporting this effort and pass it along to those you know in PA. We'd love to bring this message back to the Keystone State and change the conversation on growth statewide. I've spent this week trying to explain why simply getting better traffic models won't help us make any better projections (Build a better model, July 30, 2012) and why, despite knowing that our models are flawed, we feel the need to rely on them (Better to be lucky than good, July 31, 2012). This entire conversation was prompted by The Projections Fallacy (July 23, 2012), a call for a different system of development, one that would be robust to modeling error. Before we discuss that system, it is important to understand why models -- as flawed as they are -- are so critical to the current system. In the Suburban Experiment, the building increment for new development is the pod. For historical reasons that largely no longer exist (seen any smokestacks lately? ), we separate different uses into pods via zoning. This obsession with separation has reached manic levels where we not only separate residential from industrial but we actually break down different types of residential (read: income class) and separate all of them from each other as well. I've seen zoning codes with over 50 different classifications with a dozen different residential zones. For reference, this is described in eloquent terms in the fantastic book Suburban Nation. You can also get a good overview by watching this video series of a lecture given by Andres Duany. The device that makes all of this pod-mania possible is the automobile. We separate everything into pods and then drive from one to the other. We start the day in a residential pod. We then drive to a business pod for work. At lunch we all stream out to a commercial pod and then return to our business pod. After work we may stop at a different commercial pod on our way home to our residential pod. On the weekends, we may even drive to a recreational pod. Sixty years into the Suburban Experiment, this approach is now the default setting. For us, it is normal. To understand the role that projections play, it is critical to understand the hierarchical road network. Suburban development is organized in a hierarchy that is easily understood through street designations. Communities will have local streets, collector streets, arterials and major arterials. On the typical commute one would start on a local street (big), drive to a collector (bigger), the collector would empty into an arterial street (bigger yet) and the arterials would empty into the major arterials (biggest). Traffic is funneled into these major arterials to facilitate movement between pods. When the destination pod is reached, the cycle reverses until the destination is reached. The arch-enemy of the suburban, auto-oriented development pattern is congestion, which brings the system to a standstill and destroys whatever "efficiency" this approach claims to provide. 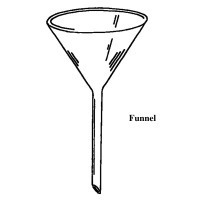 This means that, since traffic is constantly routed to the neck of the funnel (major arterial), that neck needs to be sized properly to handle all of the future growth on the periphery. If you undersize the neck of the funnel -- the arterials -- congestion will ultimately overwhelm the system, backing up cars until, essentially, the system fails. And here is the key financial insight necessary to understand our need for projections: It is vastly more expensive to fix congested arterials than it is to simply oversize them to begin with. This is why a "conservative" approach is not one that reduces the size and budget of the project, opting for a more incremental solution. In the Suburban Experiment, "conservative" means massively over building everything under the guise of penny-wise, pound-foolish. To under design an arterial is a mortal sin for an engineer. It is also a budget buster. Now imagine you are a local official charged with making decisions on transportation projects. It's 2012 so the only system of development you have is our Suburban Experiment, complete with a hierarchical road network. You may not like it, but what is the alternative when you are presented with a project that seems enormously expensive and appears to you to be completely out of scale? Are you going to demand a smaller project and risk levels of congestion that will render all your investments near worthless or are you going to fall back on that traffic projection, served up with all the credibility of a profession thousands of years old. The hierarchical road network of the Suburban Experiment raises the stakes of every decision to critical levels. It leaves little room for error, at least for error of the fiscally conservative nature. The downside of over-estimating is modest -- a bigger bill (cheap insurance, as they say in the biz) and some excess capacity -- while the damage that can come from under-estimating is calamitous. If you want to chat with Chuck and many others about implementing a Strong Towns approach in your community, consider joining the Strong Towns Network. The Strong Towns Network is a social platform for those working to make their community a strong town.